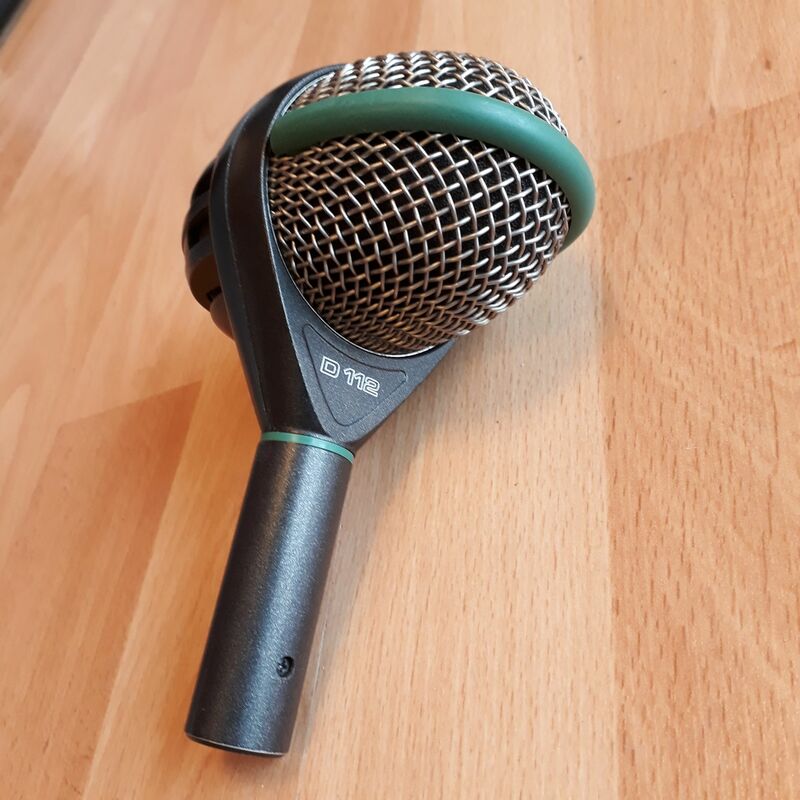 D 112, Dynamic Microphone from AKG. Product replaced by the AKG D112 MkII. The AKG D112 is typically a kick drum or bass mic with an incredibly high max SPL of 160 dB. I am a student, musician, writer, and pretty good line dancer residing in beautiful Nashville, TN. I've been a drummer and guitar player on and off for the past 10 years of my life and have began engineering and producing in the past 4. I currently play drums for the band Brookline and you can see me rockin' an Orange County Drum and Percussion or Mapex kit decked out with Zildjian K Hybrids. Our studio purchased this about 3 years ago for right around $250.00 from Sweetwater. It was bought while trying to build our mic catalog for a studio at a Recording Arts college in Nashville, TN. If you've ever had your kit miked up, chances are you have used one of these. Obviously, AKG did something right when the D112 came onto the market so long ago. With great bass response and a high max SPL, nothing really can beat the D112 besides maybe the Beta 52A. 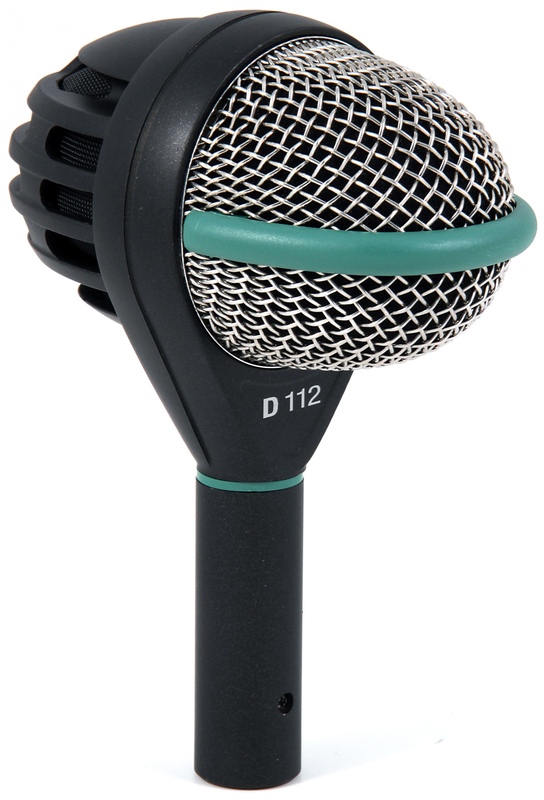 Where other mics lack, the D112 has great low end response, even under 100hz. 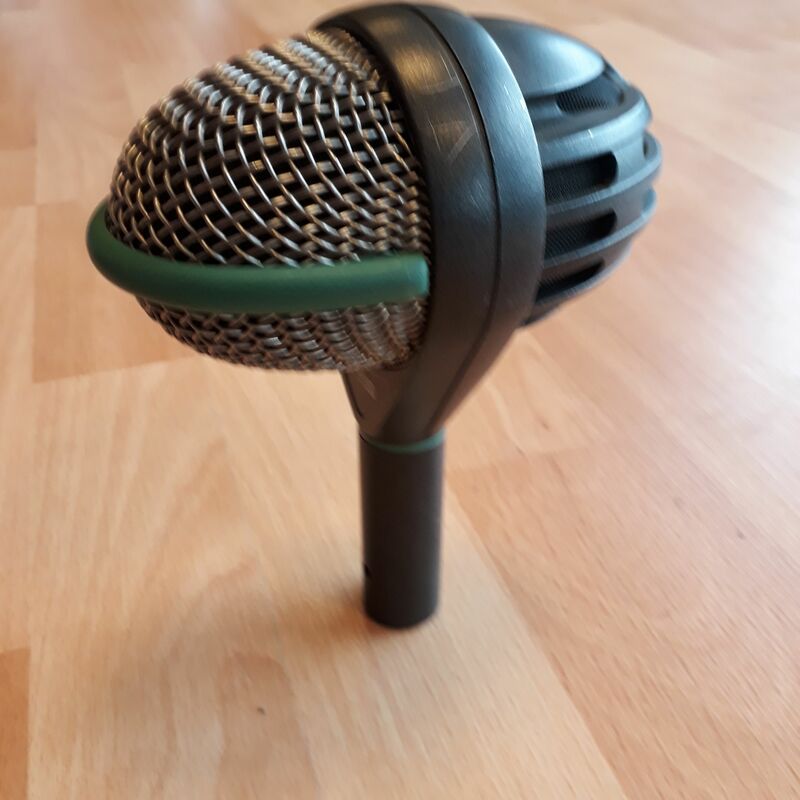 Many people like to use this as a mic for bass amps and I have found it usefull in some situations but in general you lose a lot of attack and finger noise with the bass. This mic is a beast. A buddy of mine has used his for the past 15 years nightly at a venue and it still works and sounds new. Bottom Line? If you want to be taken seriously as an engineer(studio or live) and have all the tools to make your client happy, the AKG D112 is a must have. At about half the price of the Yamaha SubKick, you can't beat this deal. The AKG D-112 is a microphone designed for bass drum, bass cabinets, or any other low-frequency, high pressure output systems. I have experimented with many bass drum mics, but the AKG far surpasses any other in it's category. You get lots of punch, and it is very sensitive to equalization. The unit itself is light and unobtrusive, yet rugged in design. Cost ranges from about $190.00 to 250.00, depending of course where you purchase it. I got mine for the lower end range thru SamAsh.com. (very reputable dealer, and they will meet or beat any legitimate price) I would strongly recommend to anyone that is looking for the absolute best in bass drum microphones to give the AKG a try. Yes, there are cheaper ones out there, but like the old saying goes: "You get what you pay for". Positive characteristics are: durability, design, price, appearance, and of course performance. absolutely nothing is on the "minus list"
Very durable, and built quite well. Unobtrusive design. For the money, I firmly believe this is as good as it gets. You can obviously spend alot more money if you like, but you will not surpass the sound quality this unit puts out. MatrixClaw's review"Great Bass Amp Mic"
A lot of people really love this mic on the kick drum, but against my Beta 52, I don't have as much love for it. The mic can sound great, but it needs quite a bit of EQing to get it to sound the way I usually like, and it's much more picky about its placement. Though it has a higher frequency range than the Shure, the natural EQ of the mic doesn't tend to sit as well in a mix for me, and I often have to dial in a little more mid-range to get the "click" to sound more full and less puny. On a bass cab, however, I absolutely LOVE this mic. Not sure what it is about this thing, but it just sounds fantastic on bass amps. It's not often that I'm micing bass amps, but when I do, the D112 is always the mic I try first; on very rare occasion do I ever even try a different mic. The D112 just works on bass. 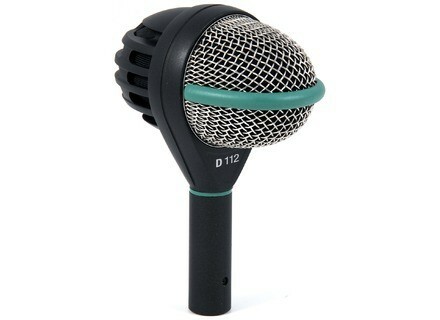 The AKG Acoustics D 112 is a very popular microphone among drummers and engineers. 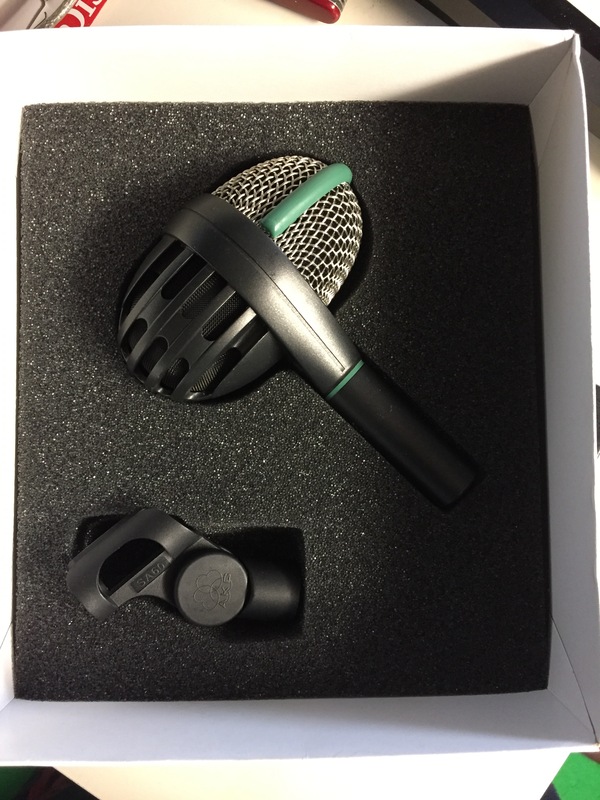 It is a standard mic to use on kick drum, and it sees use in live and recording situations all around the world. It is a dynamic microphone, naturally, and it has a cardioid polar pattern. The AKG D 112 has a frequency response that starts down at 20 Hz and extends surprisingly high: it goes up to 17,000 Hz, and the frequency response is tailored to kick drum, although it has been very successfully used on lower frequency instruments like floor toms, bass cabinets, and other things. It has two peaks, one is a low frequency peak down at 100 Hz, and there is a very noticeable mid high presence peak up around 3,500 Hz. What is absolutely remarkable about the AKG D 112 is its massive sound pressure level handling abilities, as it is actually able to toleration high sound pressure levels of up to 160 dB! What I find remarkable about the AKG Acoustics D 112 is the simple fact that I cannot objectively point out how good it sounds. The microphone is not really something that one can understand until one has used it. 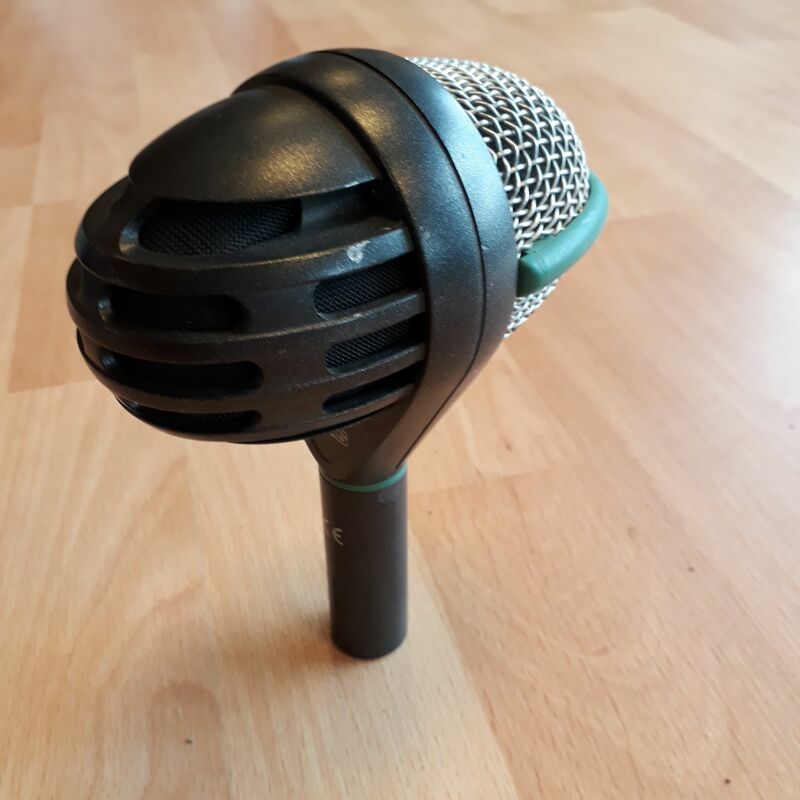 I have reviewed other low frequency microphones before, and I have been extremely satisfied with them, but the simple truth is, this microphone blows them away in strange ways I could not expect it to do so. No matter how happy you may be with your current microphone on kick drum, I have not a single fear of being overtly sensational when I say that the D 112 is hands down, the most punchy, explosive, but still clean and tight kick drum microphone that one can use. Here is the kicker. I liked it on vocals. I was curious about how that would work out, and the AKG D 112 worked spectacularly for louder, more percussive vocal work, and especially well for voice over. It is because of the two peaks across the spectrum. All in all, the D 112 is incredible. Try it.